Beth Preston and Benjamin Shank converse on Wednesday morning at Fall Education Job Fair, held in the Grand Ballroom of the Martin Luther King Jr. University Union. Kari Daniel and Taylor Hathcoat converse at the Fall Education Job Fair held Wednesday in the Grand Ballroom of the Martin Luther King Jr. University Union. As students think ahead to graduation, events like the Fall Education Job Fair held Wednesday in the Martin Luther King Jr. University Union showcase not only which school districts are hiring but give students a chance to talk with potential employers as well. Amanda Wiedler, a senior elementary education major, said she has attended the fair before and was glad to return. Merrian Tice, a senior elementary education major, said she also found the job fair especially helpful for networking. 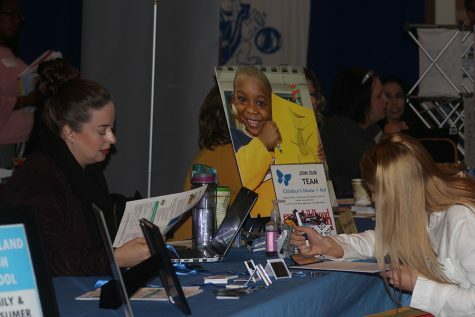 While job fairs are designed to display the many employment opportunities available to students, vendors also learn from the process and find them valuable, said Beth Harbaugh, principal at Shiloh Schools in Hume, Illinois. “We really depend on Eastern to supply us with student teachers and practicum students, that eventually become full-time teachers,” Harbaugh said. 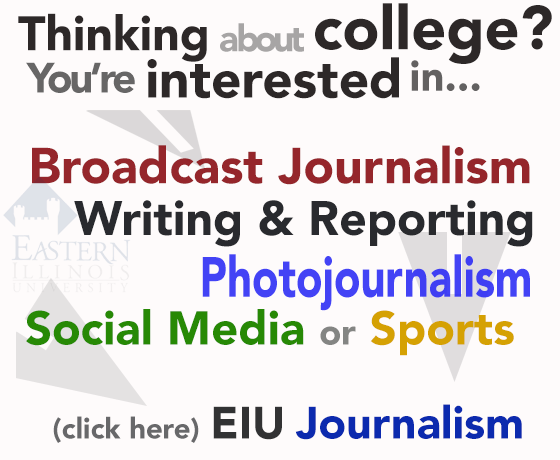 Specifically, Harbaugh said she is looking for graduates interested in starting their teaching careers immediately. 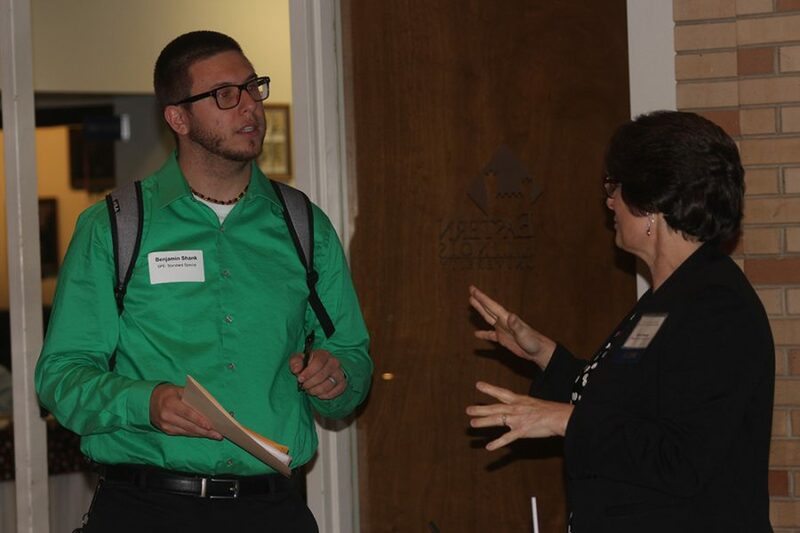 “We have been fortunate that everyone we have talked to so far graduates in December. So that makes us pretty excited,” Harbaugh said. Ariel Luke, an educational recruitment specialist with Clark County High School in Las Vegas, Nevada, was also recruiting students for her district and has been for many years. Being from Nevada, Luke said she encourages and interacts with students who are open to moving away. “I always tell students to look at all opportunities; you don’t always want to go out of state, but sometimes taking that opportunity can get you to a higher place. Look at growth potential when (you) are searching for a job,” Luke said. John Lawrence, principal of Blue Ridge High School in Farmer City, Illinois, said he was pleased with how many students attended. “Eastern graduates are all very friendly, dressed appropriately, and they all look like they want a job, which is exactly what employers want to see,” Lawrence stated. Hannah Magnus, a secondary math education major, said finding employment after college is a high priority her and most other graduates. Faith Morris can be reached at 581-2812 or at [email protected].